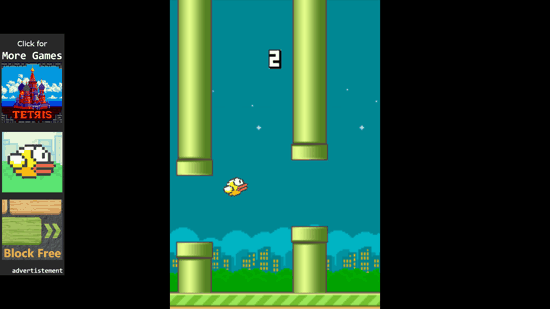 Flappy Bird 8 is based entirely on the famous addictive game by the same name Flappy Bird. The original game has gained immense popularity among the game masses. Flappy Bird 8 game for Windows 8 and 8.1 is completely free and can be played from your desktop after installing it from the Windows store. In the game the main motive of the player is to keep the bird fly off the obstacles and reach as far as possible. The bird in the game keeps flying towards the right side of the game play. The obstacles in the game are the tunnels of green color usually. The game Flappy Bird 8 is an endless game that keeps on going unless you make a wrong move and the bird falls. The control of the game is entirely in your hand. To make the Flappy Bird fly you have to click your mouse on the screen of the game. It is a challenge to be focused and understand how you should click so that the bird flies through the obstacle and does not hit the obstacle, making the game end. There are no enemies that you need to beat or kill to make the bird achieve its goal but instead your enemies are the tunnels that are unevenly placed in the game, at different heights. Flappy Bird 8 has the same interface that the original Flappy Bird game has. The bird in the game changes its color when the one bird dies and the game is over. There are different colors for the bird like yellow, red, blue, etc. There is no story attached to the game as compared to the other games as most of the games have a story behind them. 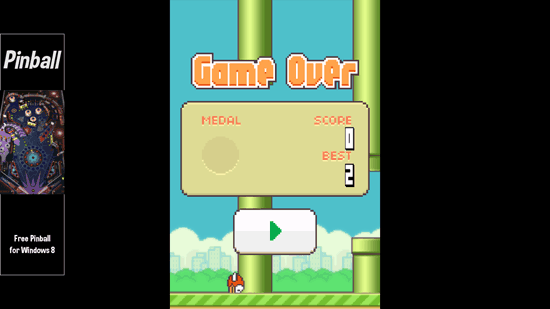 In this game you only have to beat your previous score and help the bird move forward more and more.